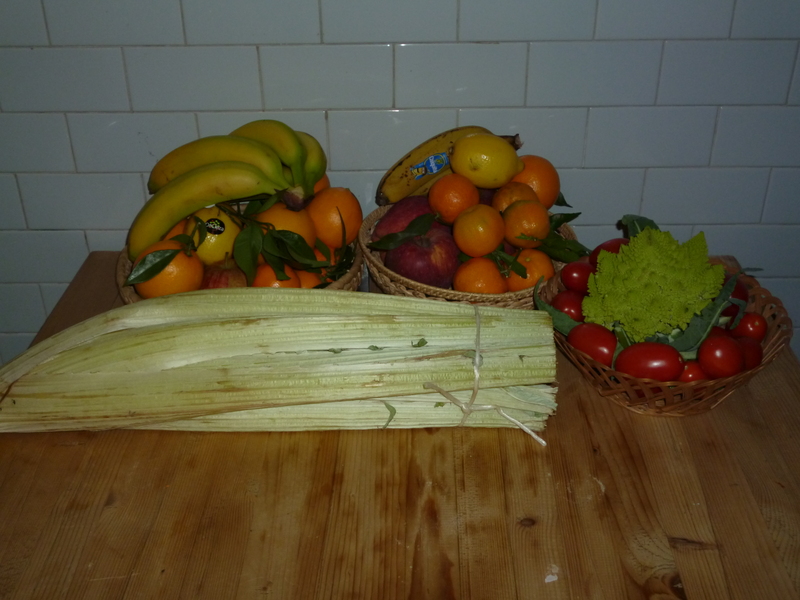 Winter/holiday foods are beginning to show up in the markets and groceries around Perugia. Oranges and clementines are in season, as are some winter vegetables, like gobbi (cardoons, see more below), and Romano broccoli. The alimentari downstairs from our apartment has been stocking up on smoked fish and other items for holiday feasts. As Americans Jews, we got a head start on the holiday feasting last week. As most of you probably know (because the American press was all over it), the first day of Hanukkah coincided with Thanksgiving for the first time in 125 years; an event that won’t happen again for another 70,000 years. I was not, however, inspired by the idea of menorahs shaped like turkeys or latkes with cranberry sauce. Besides, the first night of Hanukkah was Wednesday, and why combine holidays when you can get two meals instead of one?